In June, BB&T, a long time supporter, partnered with the Sulzbacher Center to give our family dorm a much needed makeover. Volunteers from BB&T spent the day painting the second floor of the dorm. In addition to throwing on a fresh coat of paint to the walls, volunteers painted the trim, doors, and even replaced the floor boards. BB&T wanted each room in the family dorm, to feel like a home. Therefore, BB&T decided to replace all of the linens in the family dorm as well. Each room had matching comforters, sheets, and new pillows. The families were thrilled to give their beds a makeover. However, BB&T did not stop there. After completing the family dorm makeover, the employees of BB&T still wanted to do more. The employees made over 50 welcome kits that consisted of toiletries, for when people are entering shelter and over 20 move in kits, to get people started in their new homes. 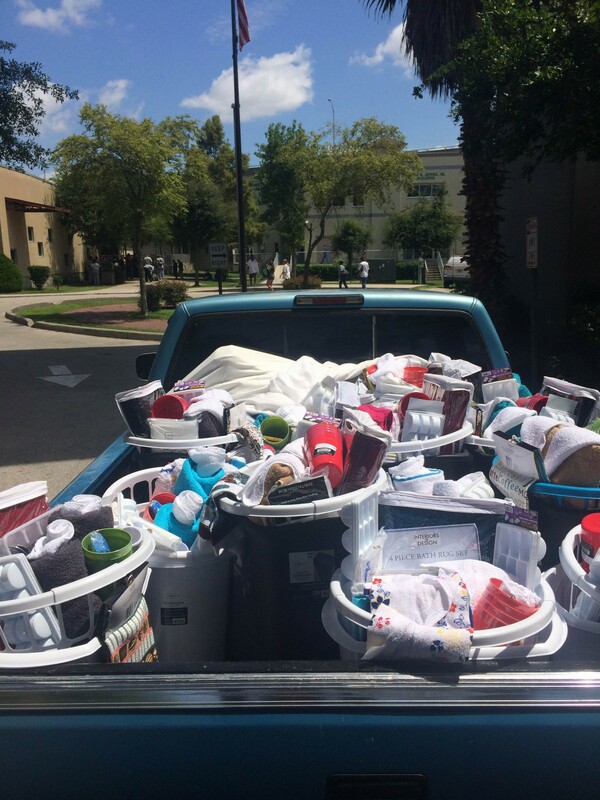 They also purchased items for the children such as, Texas Instrument calculators, car seats, and pack and plays.